Well, perhaps I should say ‘speaks’. To me, anyway. We just received our newest Artwalk Series Colorway – if you’ve not heard about these, they are a series of colors based on famous paintings. 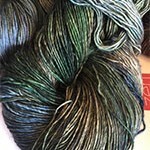 We also use this type of inspiration – when we name Artyarns colorways, for instance. We just can’t stand numbers-only yarns. Back to ZYG. We have the newest color – Dish of Pears in our hot little hands. 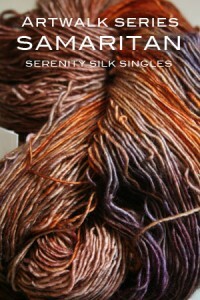 And in 2 fibers – first, the Serenity Singles, which is a very Tosh-Light type of yarn – except it has both silk and cashmere IN ADDITION to the merino. 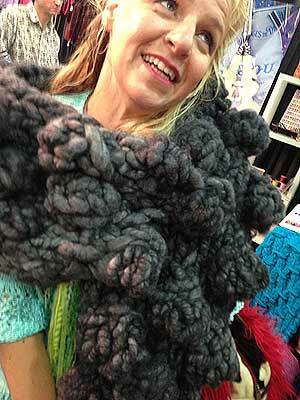 Totally over the top, this yarn. Lovely to knit with. Fabulous Stitch Definition. 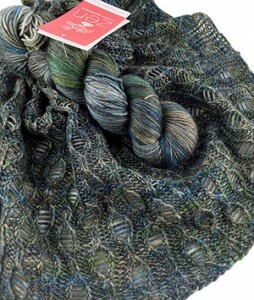 We also have the No 16 in the series, SAMARITAN, still on hand, if you’re into warmer colors.